Over the past few years your business has boomed. Money is pouring in and employee morale is high. It feels like you’re on top of the world, invincible to any fiscal monster. You sit back at your desk when one of your directors comes into your office and says that they need more supervisors to work with the influx of new factory workers hired in order to get the work done that is in the pipeline. At this point, you smile and authorize them to hire as many people that they need to get the jobs done. To your dismay, a slight detail was overlooked: when the new employees get into the office, there is nowhere to put them. Thinking on your feet, after you get the office manager to ultimately resolve the situation, you decide on using Panel Built, a reputable company who is known for building modular inplant offices. With over 20 years of experience, Panel Built Incorporated will be able to provide quality service at a price you can afford. Just as you realized that your office was in need of a much needed facelift, you realized that with more employees more space needed to be made in the conference room. Or if that wasn’t going to be able to happen, a new space was going to need to be constructed. Giving this new group their own space would be a great idea, that way they can have their offices close to the action, down near the factory floor, where time will be efficiently spent. With Panel Built’s modular inplant office rooms, group meetings will be a lot more efficient. Instead of wasting time trying to schedule a conference room as well as collecting the participants in an offsite location, you will be able to simply move to a colleague to tell them there is a meeting and bypass all the bureaucratic red tape. When the time comes, with all the work in the pipeline, you will need to hire a second round of new employees. When this happens, you worry that the current single story setup will still not be enough room to occupy your increased employee population. With this strategy in mind, instead of crafting a single story modular inplant office, a second story was added. Panel Built has several different models available. From a single story modular inplant office to a multistory modular inplant office, Panel Built will be there to service you. Our Modular office buildings have an array of different uses. For example, when the scope of a project is large, a room inside of a factory may not be sufficient. 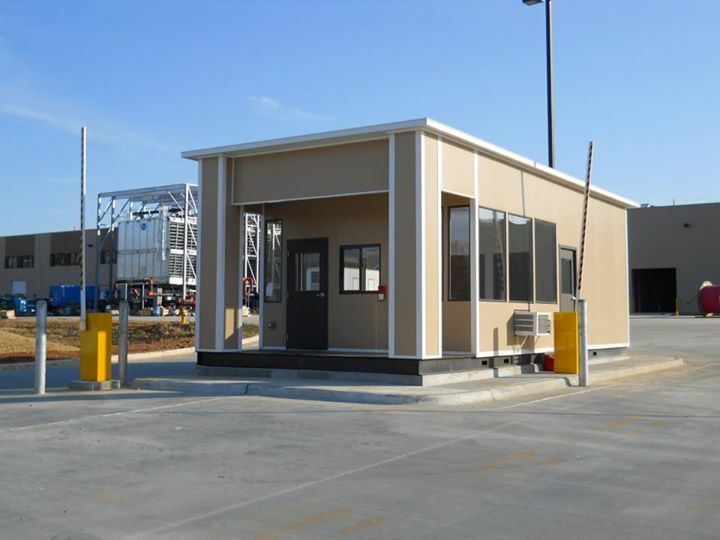 You would need an independent prefabricated modular office building to house your documentation, computer equipment, communication devices, amongst other things. It would also function as the Construction Manager’s office, giving the workmen a centralized location to give and receive information. Another use for a modular office building is a little less known; classrooms. With school districts constantly merging and separating, you never know what a given population for a specific grade will be until class assignments are made. When you have an overpopulated classroom (a class room with over thirty students is considered overpopulated), it is then when you can bring in a couple modular office buildings to use as classrooms. In this case, you, the school administrator is guaranteeing that every child will receive the instruction and attention that they deserve. After reviewing too many ads online about the best place to find a modular inplant office contractor, you realized that you spent too much time analyzing and comparing the services. One service that makes Panel Built Incorporated stand out amongst the rest is that you can order the modular inplant office on the Internet. Some of our buildings will take less than a week to ship out. Our shortest shipping time is two days! So you would place your order, then two days later, a complete office will be shipped to your doorstep. Our Two Day Quick Ship Offices vary in size from the small 8’ x 8’ to the impressive 20’ x 40’ office. Additional options would include 1/4” tempered glass windows, a standard HVAC unit to ward off the elements, 6” batt insulation, a 2’ x 4’ drop ceiling, thicker doors, and standard electric hookups. Depending on the type of job, the latter could easily house two to four workers. In addition to this we can either offer to drop the building off to you at your warehouse or site or if you would rather pick it up at our offices we’d let you do that too. Our goal is to make sure you get the best business that you deserve. How do you get such a detail from an online order? There are two ways to get the information you need. The first is to download our quote form and fax it back to us. The second is to fill out the form in our free quote section. When you do that, one of our experienced sales representatives will get back to you via email and assist you in finding exactly what you are looking for.